Girls, you have no idea how much baby Barbie loves the cutest doll Strawberry Shortcake. She loves the cute hairstyle and incredible pink outfits she has and she would like to look like her even for just a short second. 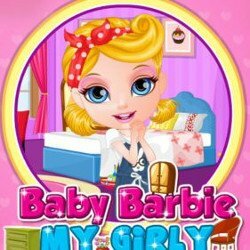 Join her in the new and exclusive game called Baby Barbie Strawberry Costumes and help her create the cutest outfits and accessorize them with fun pink jewelry and hats. 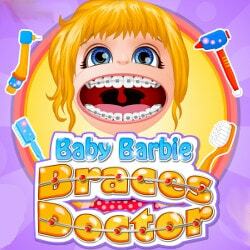 Help baby Barbie find a few missing items around the room, which she can use for the dress up. 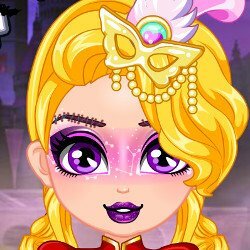 She will need a nice comb, flowers, dresses, purses, hair bands, a hat and very cute earrings with gems in shapes of fruits. 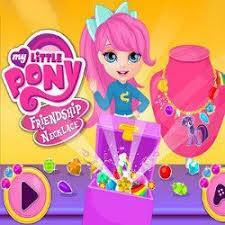 In Baby Barbie Strawberry Costumes once you have all the items she needs for the dress up, you can stat the dress up. Pick a cute hairdo with a pink dye and a cute braid. 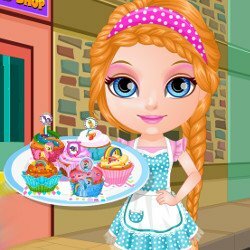 Check the dresses with fruit and choose the yellow one with lemon patterns, because it’s truly amazing for a sweet girl like baby Barbie. Pick a green color for the eyes and a nice berry purse and matching earrings for contrast. To finish this fab strawberry inspired look you can choose a nice pair of flat shoes in a bright color such as purple. 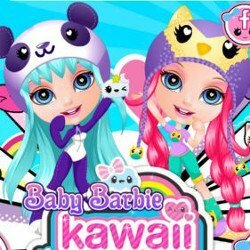 Enjoy the dress up game called Baby Barbie Strawberry Costumes and create the loveliest of costumes!